Depends on who you're confessing to and what you're confessing. I'll share a confession with you. Up until three days ago, I had not opened my WIP since December 7th. That's right, nearly a month went by without a single word put to page. Sure I had plenty of excuses. Christmas. Guests in town. Big year-end work commitments. New Year's. But three days ago I opened the file and just started. And was amazed that new, unexpected, ideas started pouring right from brain to fingers, completely by-passing the critical, fearful, editor that is moi. 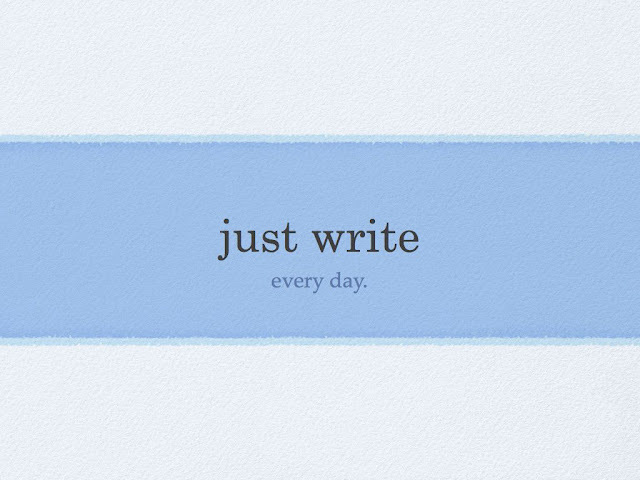 At the same time, I read a blog post somewhere (over at Amy Sue Nathan's Women's Fiction Writers) about two writers who'd decided to post a challenge to themselves and anyone else interested, to write at least 20 minutes a day for 365 days straight. I didn't sign up, but I think this is a great idea. After all, who doesn't have 20 minutes (or even 10?) to spare during some point in each day. As I write this blog, it's 11PM and before I started, I managed 30 minutes on my WIP, and tackled a dialogue transition that had stumped me earlier in the day. Effortlessly. Writer's block is always solved by applying seat to chair. What I've learned from my own experience of writing every day for the past few days is how much I enjoy it. Whether I manage a few hours or just 30 minutes, I get up from my desk feeling happy. I love what I'm writing. I am excited about this book. Writing is like any other endeavor, the more consistent, focused attention that you apply to it, the better you will become, the greater your output, and the more quickly you will reach your goal (finish the book). So why do we make it so hard on ourselves to do it? So, let's write. Every. Day.